We don’t really need a lot of material things or lose a few kilograms to be happy. Happiness doesn’t come from wealth, looks or anything else external, it comes from within. Which is why if you want to be truly happy, take a look at yourself and work from there. There are a certain set of habits (tested and proven) that you can adopt and there’s a high chance that you will feel happy too. Holding on to a grudge does more harm to you than the person who offended you, so why jeopardise your happiness for someone who mightn’t even notice it? Let go of all the resentment, anger and other negative emotions so that there will be space for positive emotions to flow in. Remember, forgive and forget. 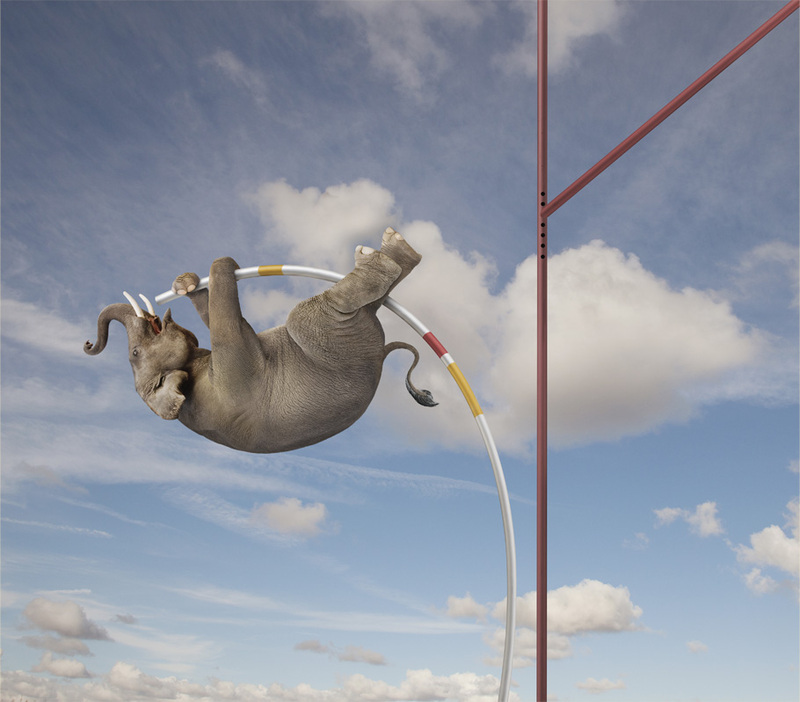 Instead of seeing an obstacle you face as a problem, view it as a challenge. See it as an opportunity to improve yourself and change for the better. Delete the word “problem” from your dictionary! When something doesn’t go your way, instead of putting the blame on others, take responsibility for your misstep. It’s not easy but once you get through it, you’d be able to rise above bigger problems and have a positive outlook in life. Humans are social animals and we are often (whether we like it or not) influenced by the ones closest to us. Which is why you have to surround yourself with people who are optimistic and happy so that you’d be around positive energy all the time. It feels good to to be included when your friends/colleagues are gossiping about others ’cause at least you’re not the one they’re talking bad about right? Even if you don’t contribute to the conversation, just by standing there is like taking a bath in negative emotions and you’re soaking in all that. If you’re ever caught in a situation like that again, make it a point to say nice things about whom they’re talking about, it’ll help you have a positive mindset and maybe influence the rest as well. Everyone is a unique individual so don’t go comparing yourself to those around you. Fostering an unhealthy sense of superiority/inferiority to others will hinder your own path to success. Look at your own progress and measure your own worth from there. Buying experiences tend to make us happier as we’re more inclined to look back on them like a holiday trip, eating at a special restaurant or having the time of our lives at an amusement park. Spending your money on material goods may bring you happiness but they are (most of the time) short termed. It is scientifically proven that exercising does make one happier as it boosts levels of endorphins and other feel-good brain chemicals. Exercising reduces the stress hormones and is a proven remedy for anxiety and depression. 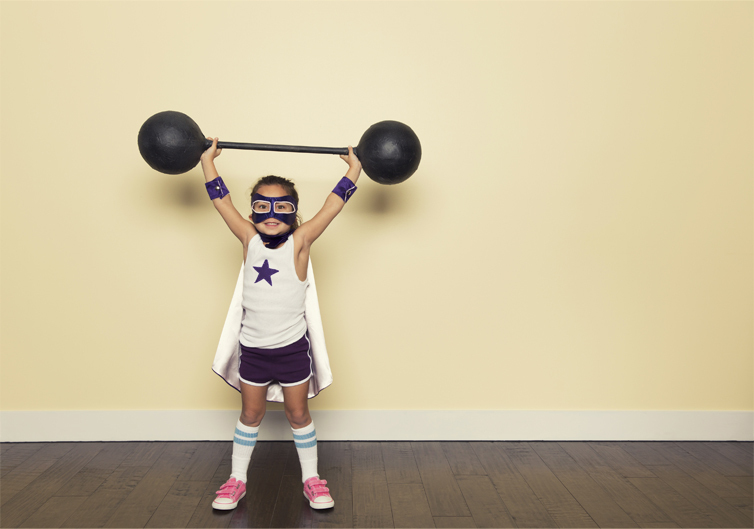 Get rid of that inertia and get yourself going! Life isn’t fair and not everything will go your way, but hey that’s perfectly okay! Learn to accept things that you cannot change and put your energy into things that you can, and you’ll see the world in a different light. What’s your secret to staying happy? Share it with us by commenting below! 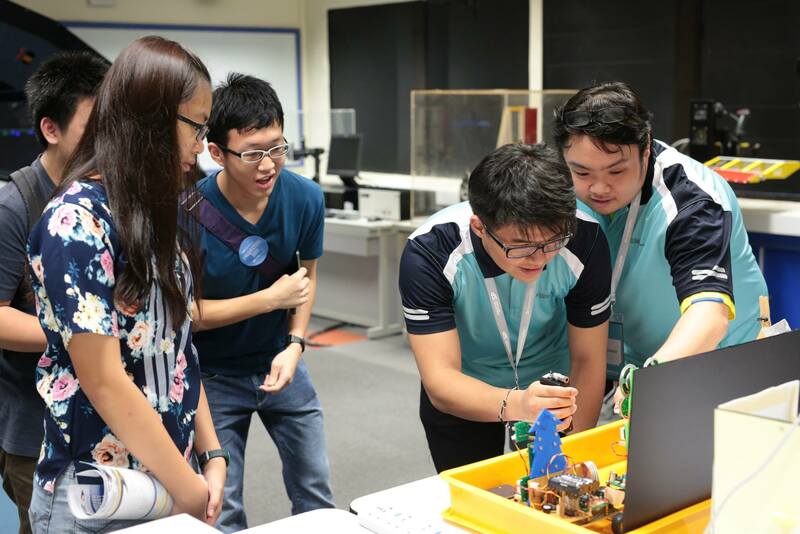 The Polytechnic Open House is happening this weekend! We all know how open houses can be pretty overwhelming with so many things going on at the same time, so here’s how you can make the most out of it! #1 Check out the school websites to find out the list of available courses and most importantly their entry requirements. #2 Shortlist some courses that you might want to pursue. Then, find out where the activities for these courses will take place during the Open House so that you can concentrate on them while you’re there. #3 It’s good to research on the modules you will be taking during the course of your studies to prepare yourself mentally for what’s expected of you. #4 Speak to your family and school seniors to get their opinion on the courses and schools. Course booths – The Polytechnic Open Houses have an almost carnival-like atmosphere, and can be confusing for some. But stay focused! Get the important things out of the way first so that you can have fun later. 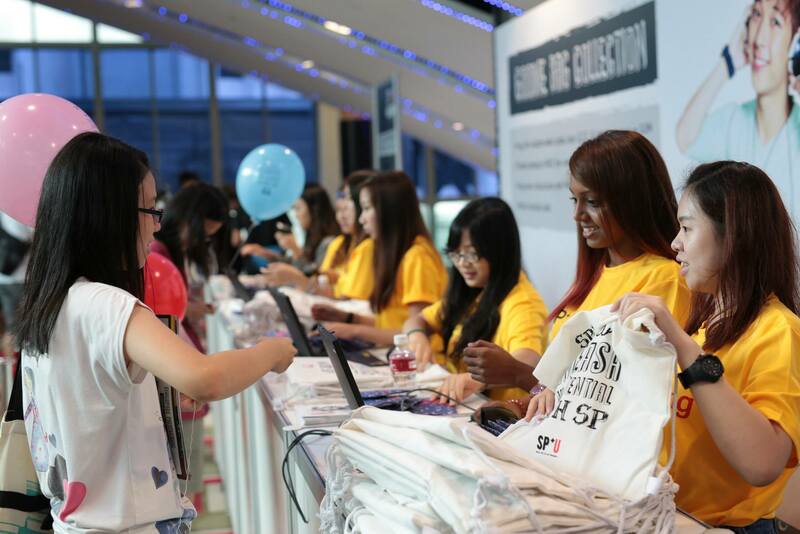 Make a beeline for the course booths so you can direct any queries to the relevant course representatives. Prepare a list of questions to ask regarding the courses you have shortlisted. For example, you might want to enquire about the workload, internship opportunities, and employability potential. Seniors and staff – Don’t be shy! Talk to seniors to get insights on the school culture and learning environment, tips and anecdotes which only students can tell you. Find out the latest course syllabus and what to expect when it comes to assignments and exams.They can also advise you on ways to juggle your studies to ensure you make the most out of your time in polytechnic. Remember to also speak to academic staff to hear about the experience from their point of view, and on the kinds of support you can get from the school. It’s a completely new study environment from what you’re used to in secondary school, so it’s good to know what you’re in for. Facilities – If you’re planning on studying something niche, check out how the school can enrich your learning through the campus facilities. If you’re keen on a science-related course, are the labs clean and big? If you’re keen on a hospitality course, do they have mock set- ups for you? These factors are important to ensure you get hands-on learning experience as opposed to just theoretical knowledge. Sports enthusiasts might also want to check out the facilities they have for sports and exercise because you’d be spending half the time in school training. Seminars, workshops and guided tours – Workshops and seminars offer an overview of courses, details on career prospects or further education, and can help you in making a decision on your next step in the next phase of your life. Guided tours will give you a sense of the place you’ll call your second home for the next three years. Make sure to register beforehand for the guided tours on their respective websites! CCAs – The polytechnics offer a plethora of interest groups and sports teams for you to participate in after school hours. Find out which groups the polytechnics are particularly famous for, and think about the possibility of joining something that you’re not familiar with. 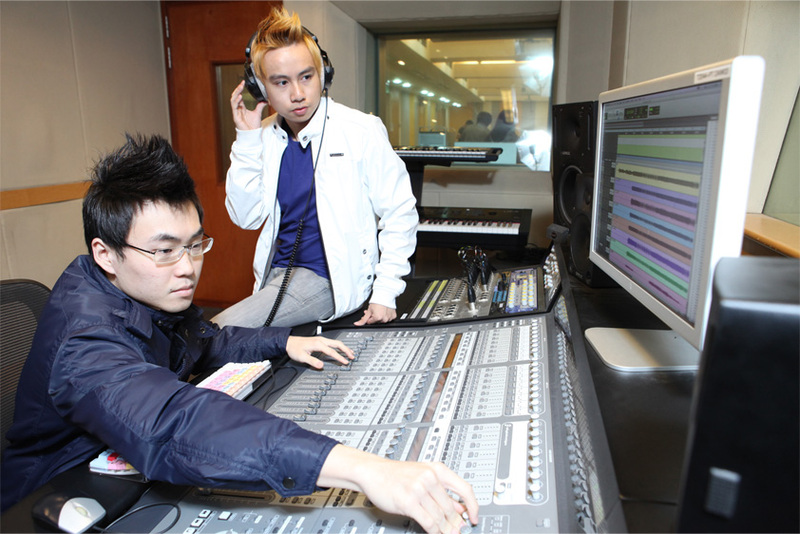 After all, school is a great platform to pick up new hobbies, that could develop into future opportunities. Universities and employers also look at the activities you do outside your school curriculum, so the time you invest in your CCAs will definitely make your resume shine. #1 Don’t go home empty-handed – bring a bag to store all the handouts you’ll be collecting! #2 Beat the crowd by going early. A full Open House experience takes about four to six hours, and you’d want sufficient time to get all your queries answered. #3 Compare each school’s pros and cons with all the info you’ve gathered. After what seems like endless nights cramming for your ‘O’ Levels, the fruits of your labour will finally be unveiled. If Singapore Polytechnic (SP) is your choice for your post-secondary education, check the expiry date on your passport ‘cause may be jetting off in your first year! 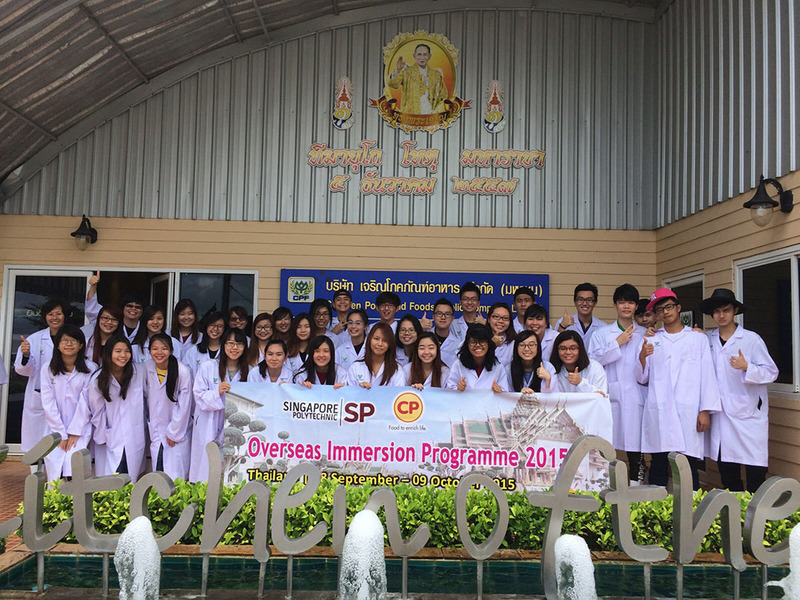 At SP, there are many opportunities for students to travel overseas. 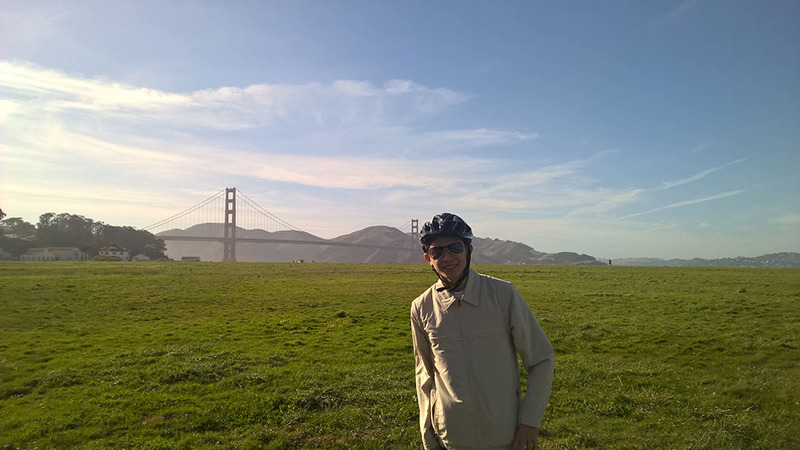 From neighbouring Malaysia and Indonesia to as far as London or San Francisco, SP students have been there, done that. 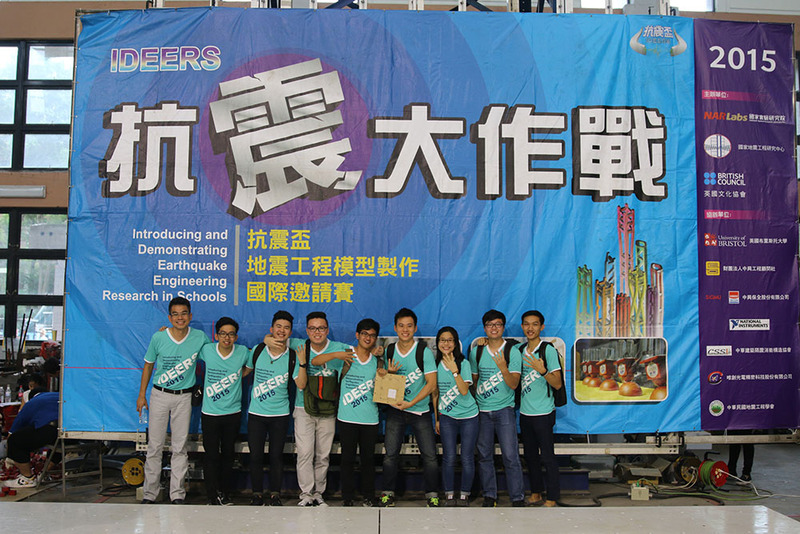 Students get to compete in an international arena – like this group of SP students from the School of Architecture and the Built Environment who flew to Taiwan for a regional earthquake competition to pit against those from the universities. 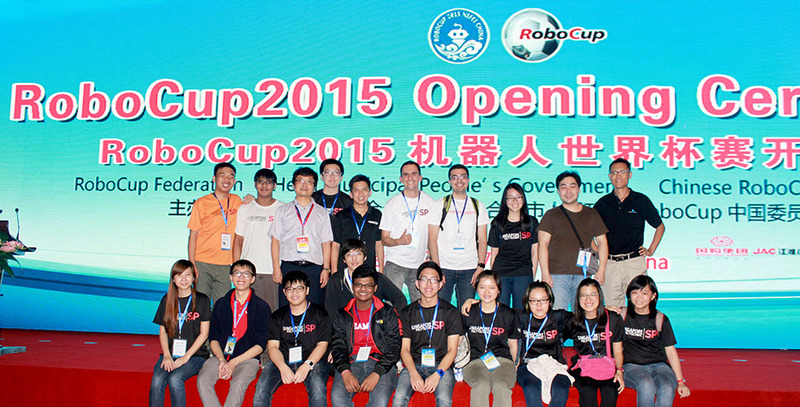 Separately, another group of engineering students went to China for a robotic competition. Both groups returned with shining medals! Imagine taking along a self-built car to compete in an international race. Impossible? 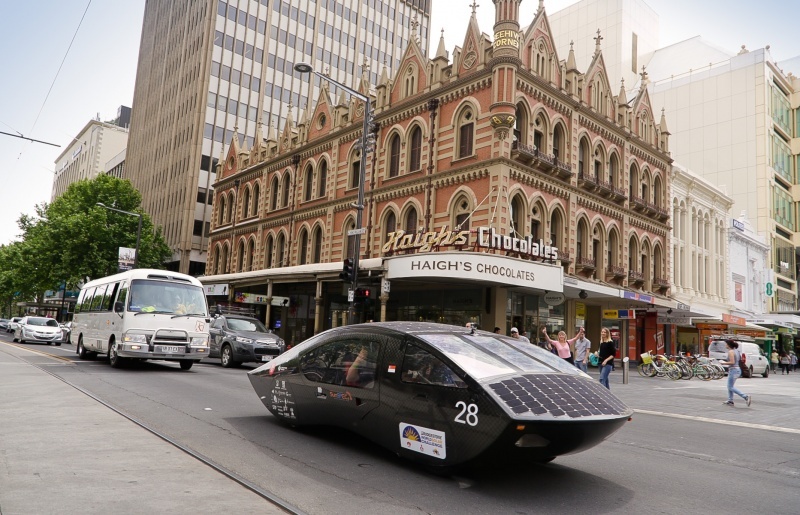 Have a chat with the SP engineering students who flew to Australia with their self-built solar car for the World Solar Competition. The race took saw them traversing 3,000km from Darwin to Adelaide, taking in sights that would never get to see in Singapore. Are you a fan of CP Foods, manufacturer of the popular shrimp wantons available in supermarkets here? 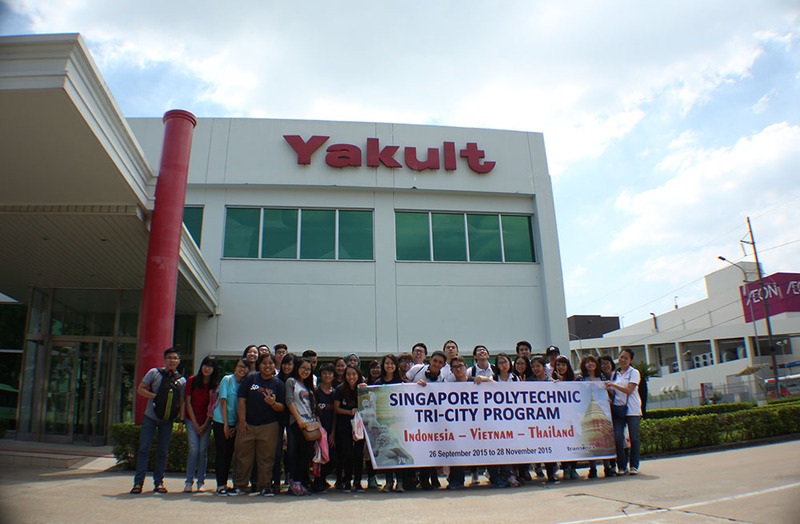 The Diploma in Food Science and Technology students travelled to Bangkok where they saw with their own eyes how products from CP Foods are manufactured in their headquarters. 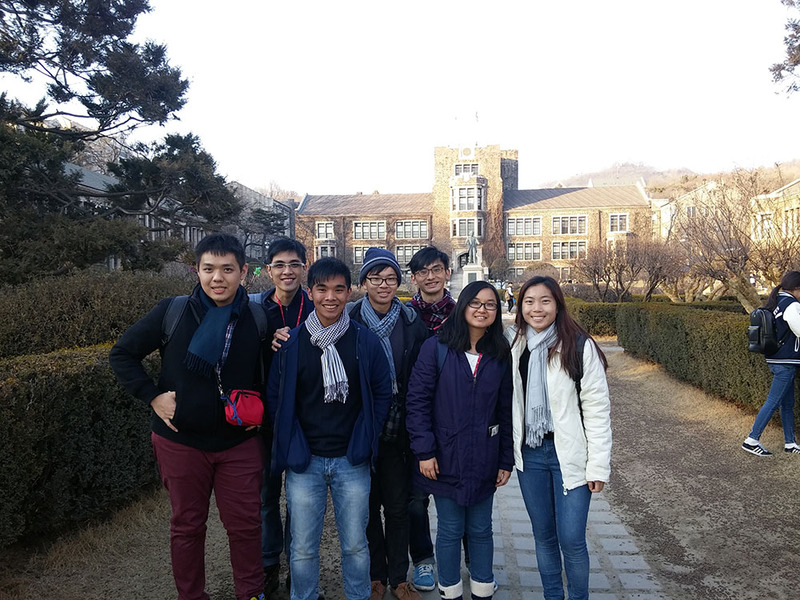 Every year, SP students fly to Seoul for various overseas programmes. Not too long ago, a group of SPOT (SP Outstanding Talent) students were there for an international conference where they networked with tertiary students from all over the world and exchange ideas to make the world a better place! If you excel in sports, nothing will stop you from competing in overseas tournaments. The SP Dragon Boat team, the best among the polys, have competed in Taiwan, Penang and Sarawak. There could be serious work beckoning in faraway land if you are up to it. SP’s life science students have worked alongside professors from Ivy League universities such as Harvard, Yale and Massachusetts Institute of Technology to conduct scientific research. There were others who went to Australian and UK universities for the same reason. And all of them returned with a renewed zest for research work! In SP, there are many opportunities for you to give back to the less fortunate communities and not just here in Singapore. Many SP students have travelled to regional third world countries for the Learning Express Programme where they partner tertiary institutions there to develop innovative ideas they would improve lives in those countries. 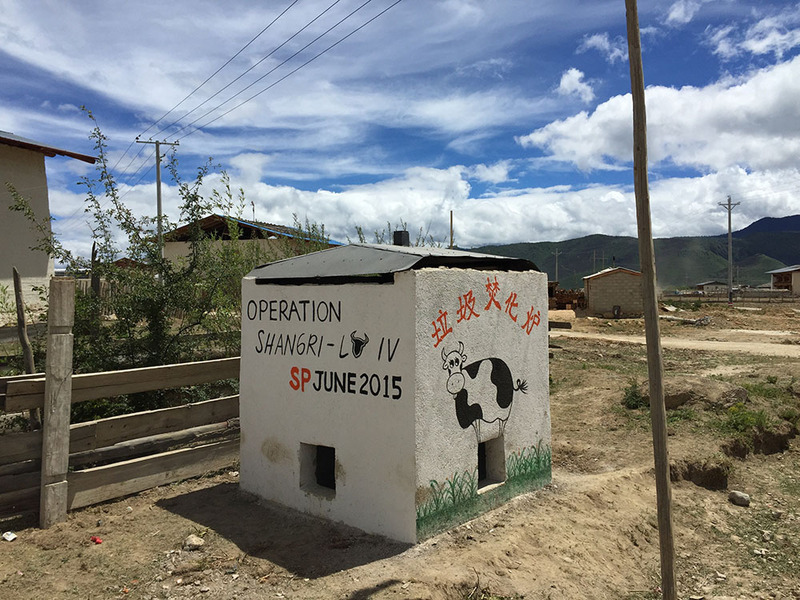 Many others have completed overseas community programmes in countries like China, India, Myanmar, Laos, Philippines and Vietnam. Optometry students went to Sri Lanka to provide eye checks for villages while IT students went to Laos to teach basic computer skills to the local kids. 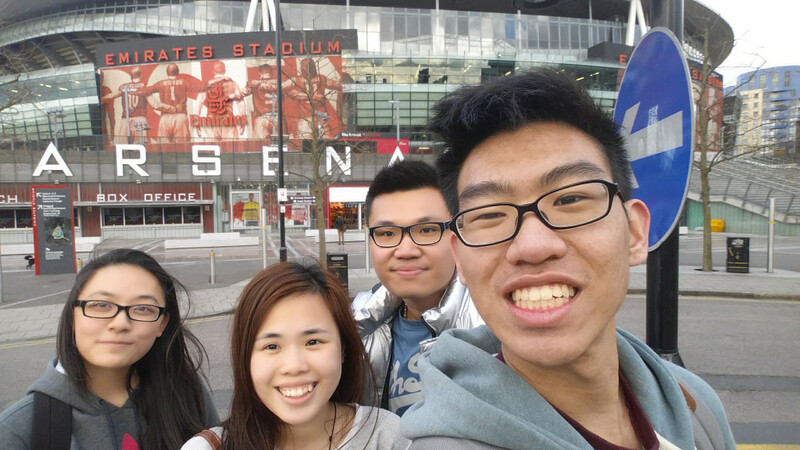 If you need to be convinced on how overseas exposure can transform your views of the world, have a chat with second-year architecture student Victoria Tan. During her three years in SP (including her Polytechnic Foundation Programme year), she has been on six overseas trips spanning China, Indonesia, Philippines, Laos, China and Japan. 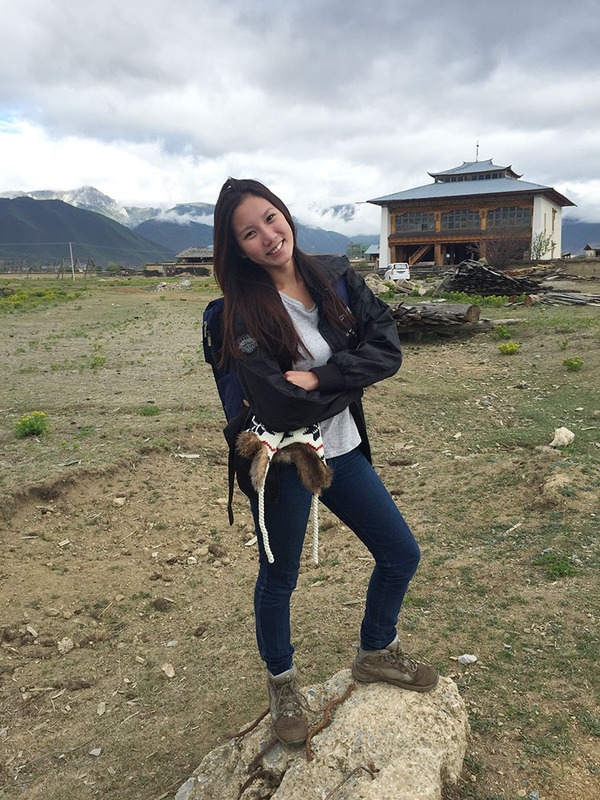 From building basic hygiene facilities in Kunming, China, to uncovering business practices of Japanese companies, and studying Balinese architectural designs, she will have plenty of stories to share on how these trips have boosted her self-confidence and independence. In short, SP has prepared her to be world-ready. 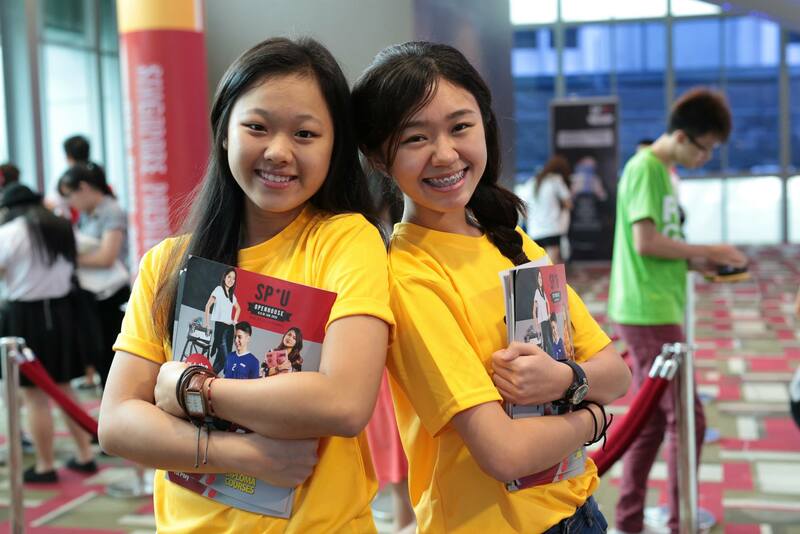 Come speak with SP students on their overseas exposure at the SP Open House taking place from 7 to 9 January. Visit openhouse.sp.edu.sg for more details. 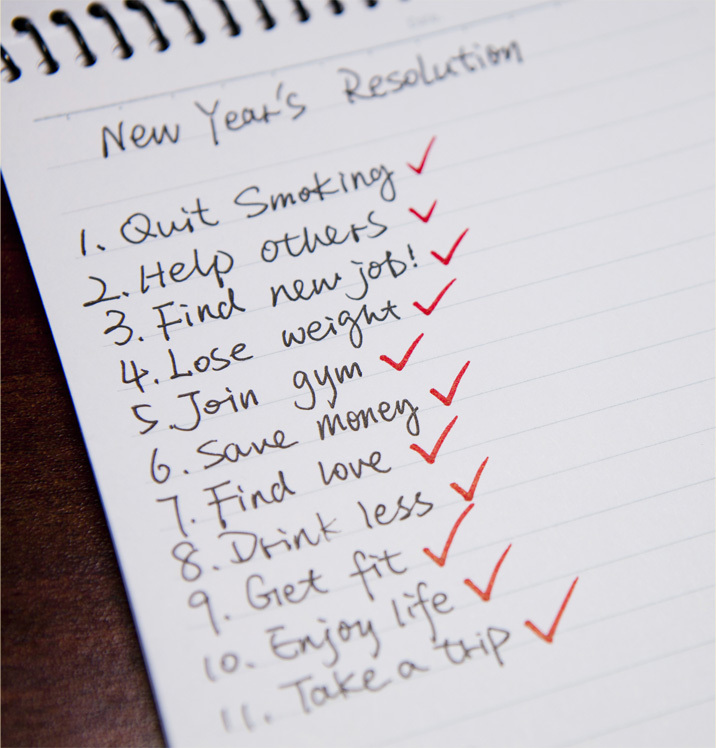 Having trouble sticking to your New Year’s resolution year after year? You might’ve been setting yourself up for failure all this time. 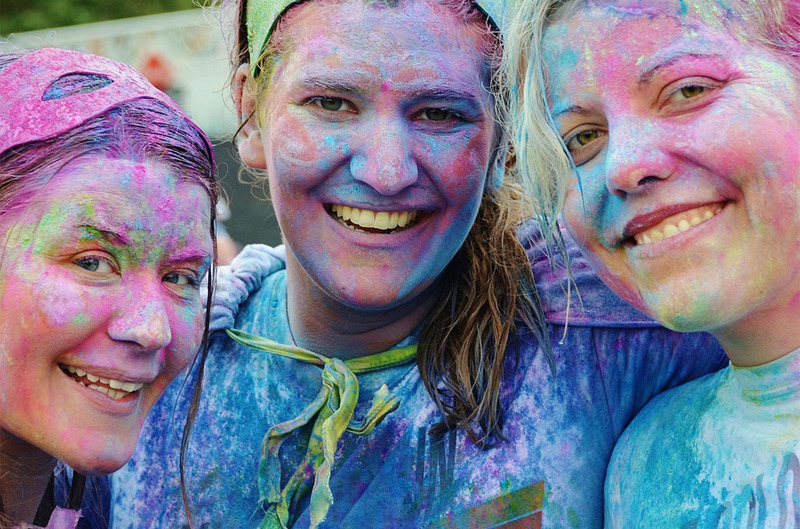 Here’s how you could set your resolutions and tick them off your list by the end of 2016! Viewing your New Year’s resolutions as mere acts of self-improvement might be more procrastination than motivation for you. Instead, think of it in a new perspective and envision them more as goals, whereby your resolutions are simply tasks on a to-do list with a 12-month deadline. 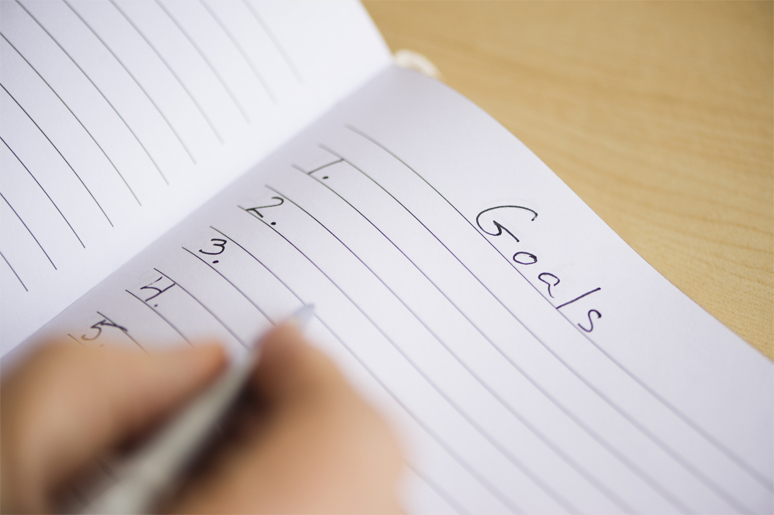 For 2016, set a reasonable due date for each goal to avoid habitually putting it off. This creates a sense of urgency as well. For instance, ‘Learn how to swim by March’. It will make it easier for you to visualise it as a ‘must-do’ instead of a ‘can do later’. Here’s our theory: we’re not going to be extra committed to doing things we don’t enjoy. So make sure your resolution is something you’d actually feel passionate (or at the very least, willing) about. Of course, resolutions are often at times not something you’d want to be doing it in the first place, but inject some positivity into it. Instead of thinking how bothersome it is, focus on the positive effects it’ll bring once you actually start sticking to it – you’ll end up reaping the most rewards. Bear this in mind when you’re making your 2016 resolutions, and carefully weed out the ones you’re not 100% on-board with. “If I aim high and fail, it’s okay because chances are that I’ll land amongst the stars, right?” WRONG! In this case, you’ll just end up having failed at sticking to your resolution because there is no middle ground. It sounds like a no-brainer, but don’t aim too high when you’re setting resolutions – make sure it’s something you can actually reach. Instead of putting the humanly impossible resolution of ‘saving $10,000’ when you’re a student on a shoestring budget, aim to ‘save 30% of my allowance pay’ instead, and contribute more when you can afford to. Any self-respecting to-do list enthusiast will know this: setting vague goals only provide a general direction, but the key to striking them off would be to make everything simple and specific. For example: ‘Read more this year’ should be ‘Read 20 books by June’. This way, you can visualise the steps to take, which makes your life so much easier, and in turn, increase the chances you’ll actually work towards it. Don’t beat yourself up if you have a mini-lapse every once in awhile. If your resolution is to eat healthier, it’s okay to cut yourself some slack and allow for a cheat day every now and then. We found that this method is especially useful when it comes to lifestyle altering resolutions, such as those that call for saving money or cutting weight. Remember, you can’t expect to make immediate changes to any long-term habits, so take it one day at a time. Going cold turkey all the way might just end up with you giving up your resolution altogether. Another way to keep yourself motivated throughout the year is by keeping tabs on your progress and rewarding yourself with each major milestone. Speaking from personal experience, it honestly brings a huge sense of achievement to see how far we’ve come since starting with our goals. Also, you could make things interesting by kicking things up a notch and roping in your BFF – perhaps suggest a friendly competition of sorts, to see who fulfils the most resolutions off their list? Winner gets bragging rights! So what are your resolutions for 2016? Share it with us by commenting below! It’s not everyday a student can boast of seeing actual jet fighter planes in school, or dream up and create a new perfume on campus. 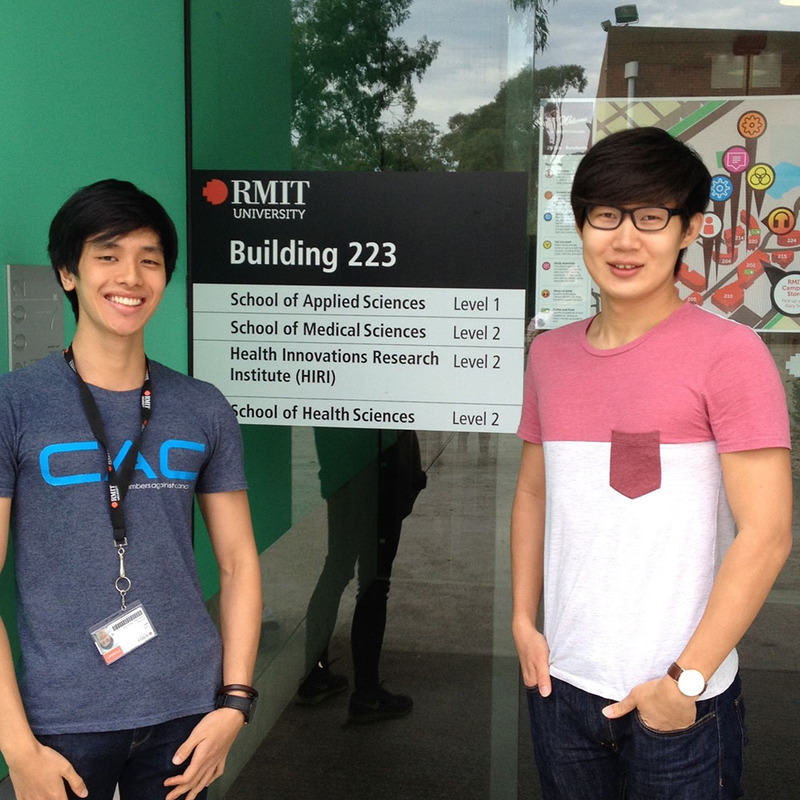 Here are some cool new facilities you can find at Singapore Polytechnic (SP). Having a train station right at the doorstep of your school isn’t something everyone can brag about. 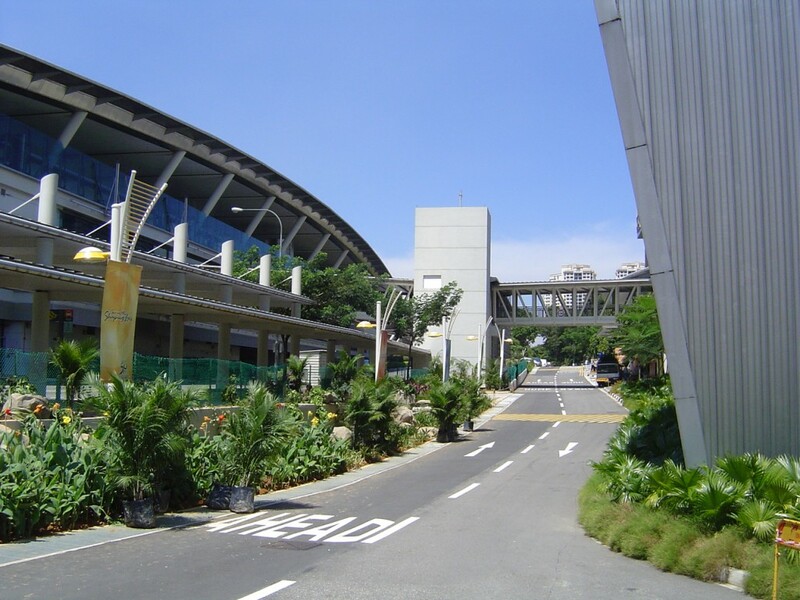 From the moment you step out of Dover Station, you are just steps away from the vast campus of Singapore Polytechnic (SP)! Plus, the entire campus is linked with covered walkways so you’ll never worry about arriving to class soaking wet from the rain. If you’re enrolling next year, there will be many cool new additions to the campus! Take up either the Aeronautical or Aerospace course and the huge hanger space AeroHub will be your playground. 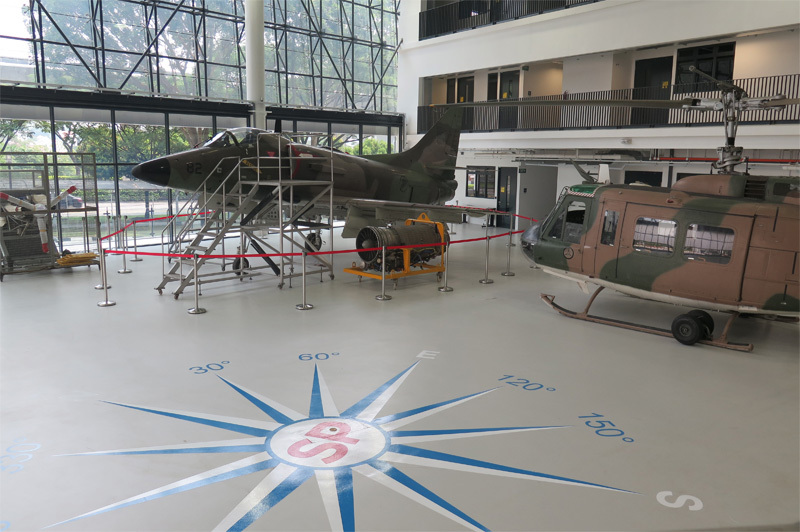 It houses four aircrafts, including a jet fighter plane, as well as other facilities like an aircraft simulator and wind tunnel. Business students can look forward to a brand new SP Business School building. 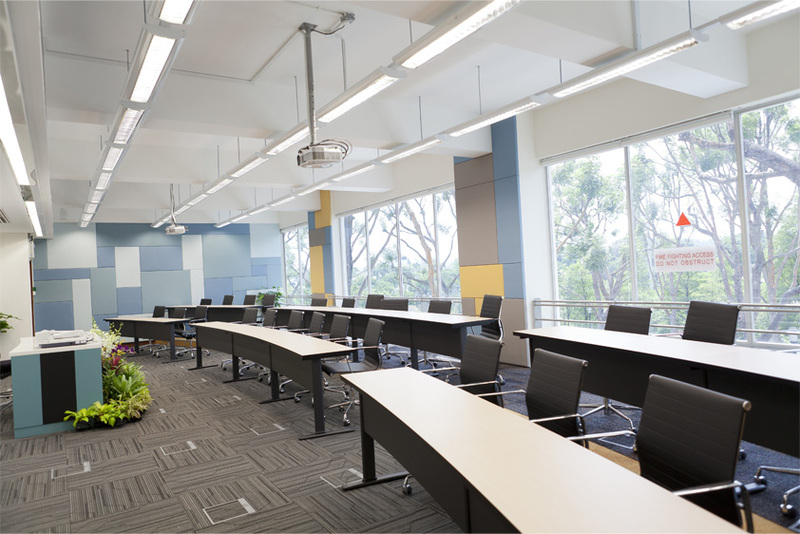 Depending on your course, you will learn in studios like the ThinkCubator as well as Harvard-styled lecture theatres. There’s also simulated financial trading at the UOB Kay Hian-SP Dealing Centre for students to hone their trading skills. Never worry about going hungry whether you are in the AeroHub or SP Business School. There will be a brand new Koufu Foodcourt and psst.. there’s a café in the works too! If setting up your own business is in the pipeline, then SPELL – a retail living lab located at Changi Airport Terminal 3, will be your learning ground. Students will have the opportunity to run a retail shop selling fashion apparel and accessories, and pick up the entire works of managing a shop such as inventory control, staffing, marketing and promotions! 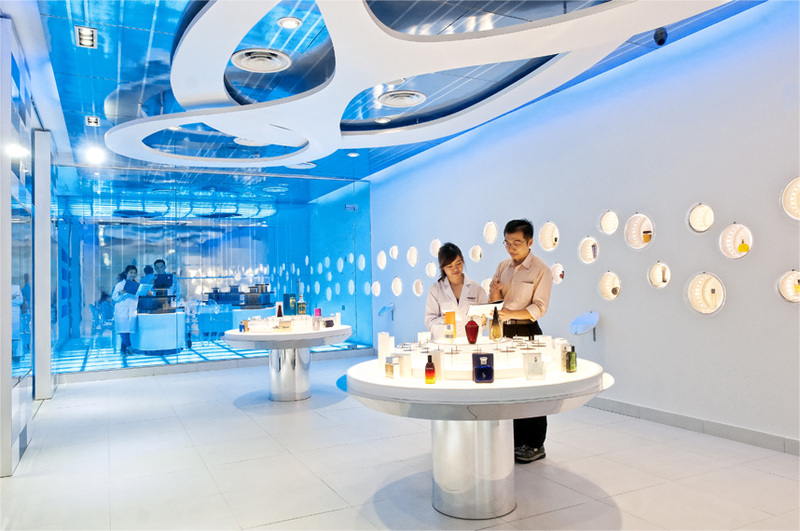 Amongst the awesome learning facilities in SP is the Perfumery and Cosmetic Science Centre. Here, you will learn to create your own scents at this really cool lab. The Optometry Centre houses learning facilities, as well a a retail space selling eyewear. How awesome is that? Sharpen your creativity in Digital Animation or Music & Audio Technology, at the School of Digital Media and Infocomm Technology. Check out M.A.D Studios where you can record your works and decorate your personal studio as you wish! If you enjoy communicating stories and ideas with visuals and text, hang out at The Writer’s Room or The Agency where the Diploma in Media and Communication students learn, play and exchange ideas all at the same time. For Diploma in Hotel and Leisure Facilities Management students, there’s a hotel room and café for you to learn about the inner workings of the hotel and leisure industry. 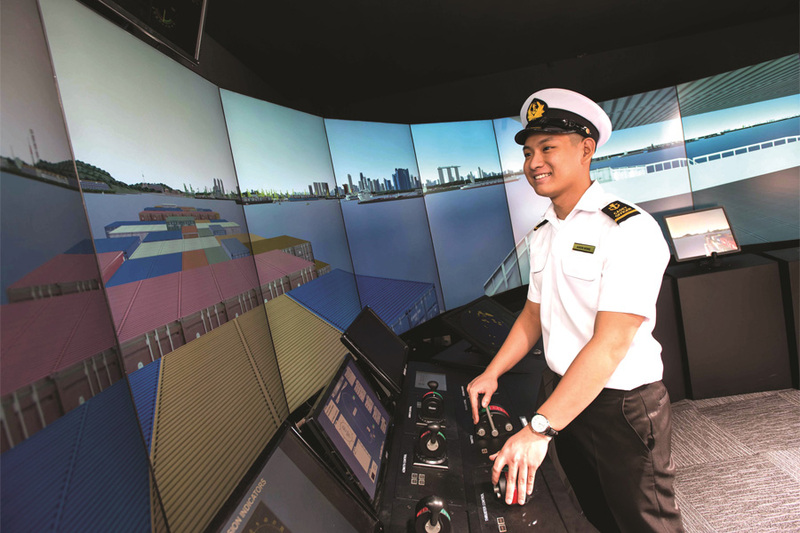 At Singapore’s only Maritime training institution, students can go on an adventure and ride the waves in the simulation room. 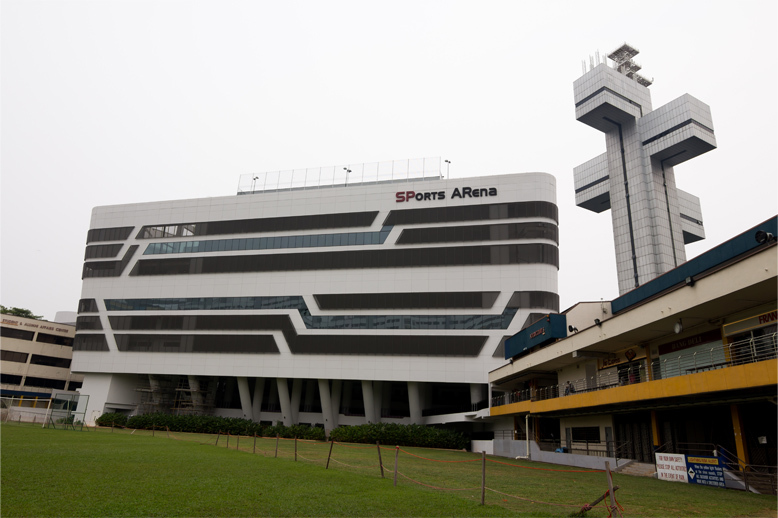 What better way to invigorate your senses after all those lectures/tutorials than to pay the new SPorts ARena a visit? Release all the pent up stress with a game of badminton or tennis, take a dip in the Olympic-sized pool or you can even go for resistance and weight training at the gym! Seeing is believing, so check out all these brand new facilities at the SP Open House from 7 to 9 January 2016, from 10am to 6pm!